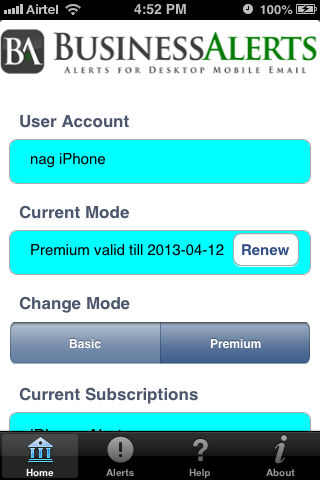 Finally you can add the iPhone subscriber from the Group Members page. 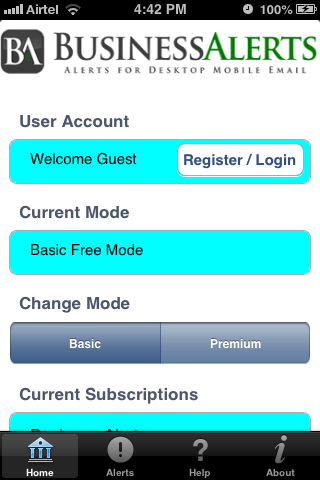 You will see the option to add the iPhone subscriber (in addition to Desktop, Email and SMS) on the New Group Member page. 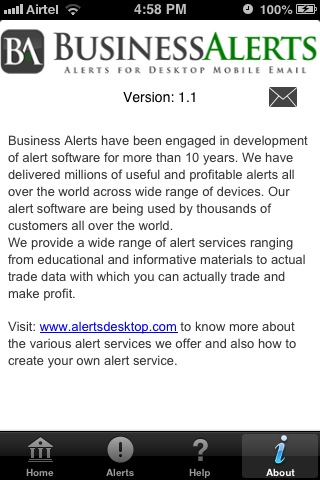 For purpose of sending alerts, Desktop Alert should be treated same as iPhone alerts. 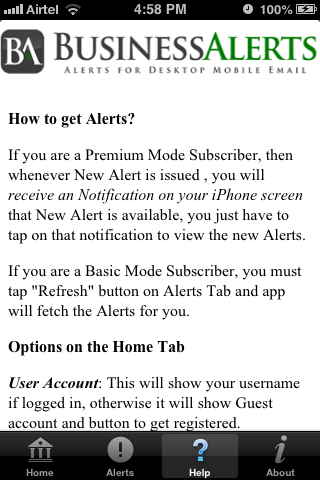 In other words, every Desktop Alert will be sent to iPhone as well. Option 1. 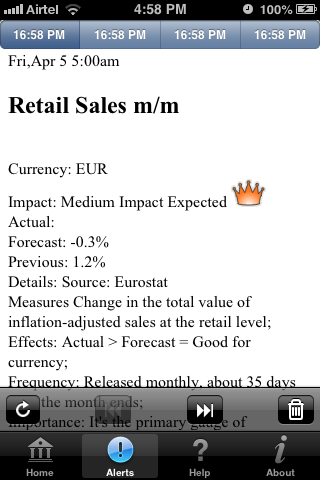 You can directly go to this link https://itunes.apple.com/us/app/businessalert/id618169690 on the iTunes store and download and install the app. Option 2. 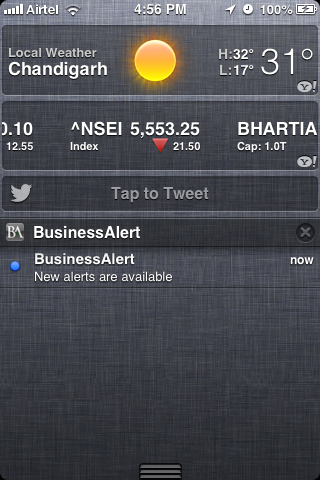 You can also search for "BusinessAlert" app by "Sangra Net Technologies" in iTunes App Store and install it on your iPhone / iPad. 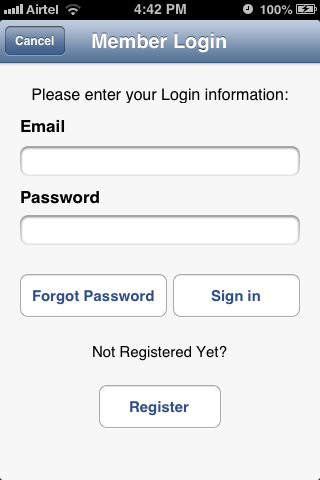 Then you can click on Register / Login button on Home Screen and enter your registered email and password (provided by your Alert Group Owner) and activate your app. 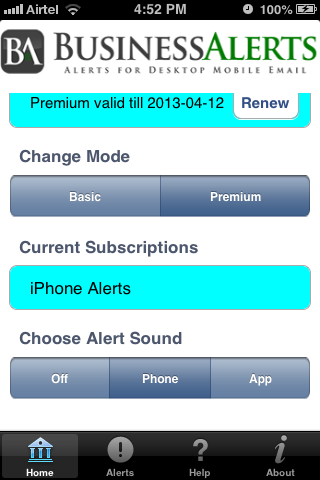 After successful activation , you will start receiving all the alerts issued in your Alert Group on your iPhone . 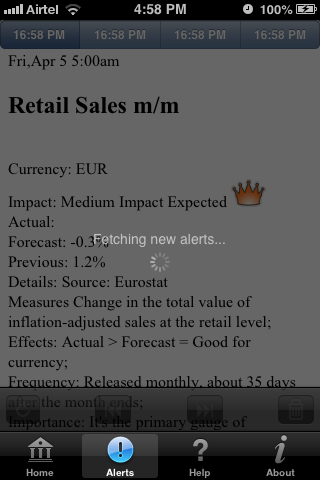 You will also receive Instant Notification on your iPhone if your Alert Group Owner has enabled it..